This post is sponsored by Nordstrom and ShopStyle. The product selections are my own, and I only highlight and promote pieces that I truly love. Thank you for supporting the brands that support Sheaffer Told Me To! Today I have tons of outfit inspiration for you! Twelve outfits to be exact! 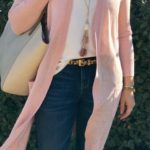 They are all outfits that are perfect for transitioning to warmer weather. And I don’t know about you, but when the season starts to change, or when the temperatures start to rise (even if it’s in February)…the first thing I do is change my footwear. 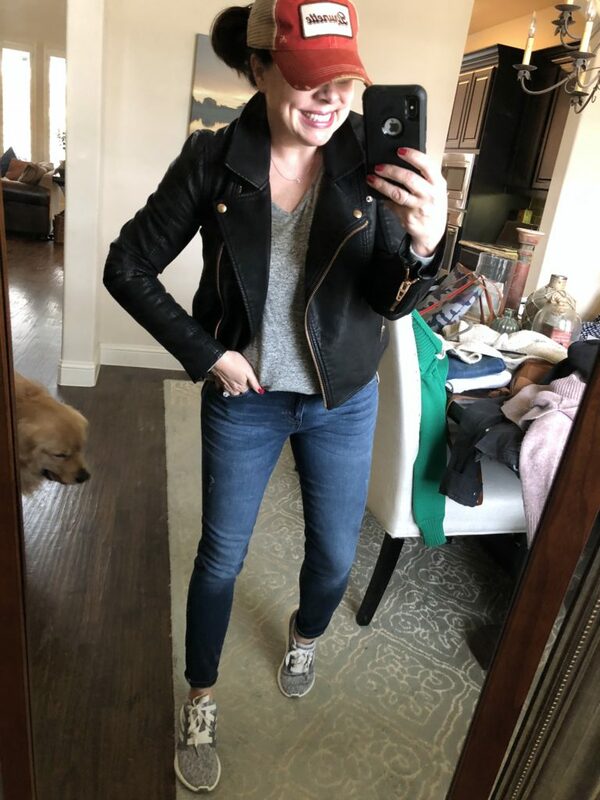 I’m working with Nordstrom today and am excited to show you 3 of my favorite pairs of transitional shoes. And I’m going to show you how to style each shoe in several different outfits. We’ll be talking about my pointy toe leopard flats, my camo wedge sneakers, and my grey ribbon sneakers. All 3 shoes are pretty great all year long (unless it’s FREEZING outside), but they really shine in Spring. They are all comfy (I just don’t do shoes that aren’t), and they transition perfectly between seasons. Let’s start out with the flats that I can’t stop wearing. They’re pointy toe, they’re leopard, and I love them. I love them a lot. I personally feel like leopard flats are a closet essential. 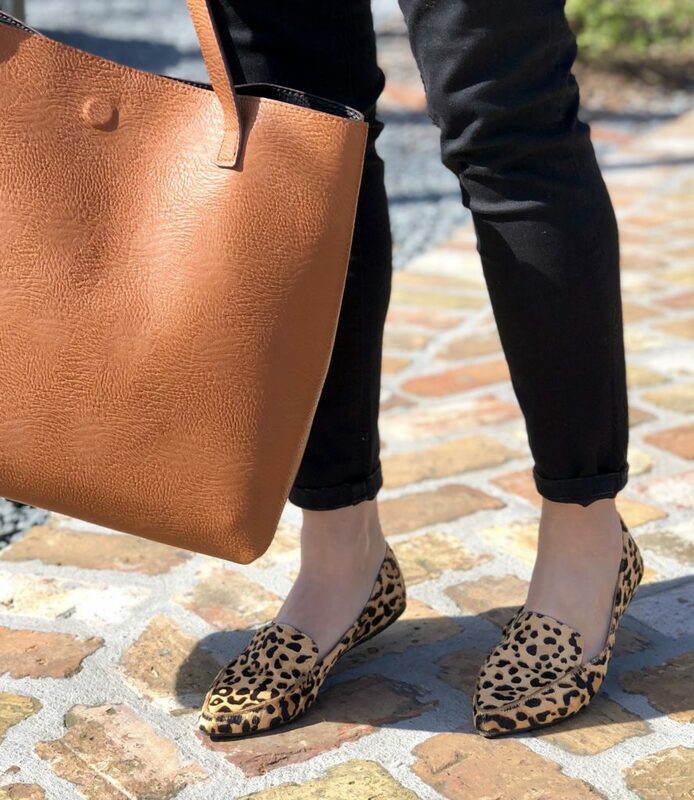 I’ve worn these round toe Felicia leopard flats for the last several years, and although I still love them, I was ready for an update. These pointy toe leopard flats were the answer for me. The pointy toe modernized them and made them feel fresh. They are true to size, quite comfortable, and DARLING. The closed toe coupled with the exposed ankle make them feel springy and like they are suitable for warmer weather, yet you don’t feel silly wearing them on a really cool morning (like you would sandals). 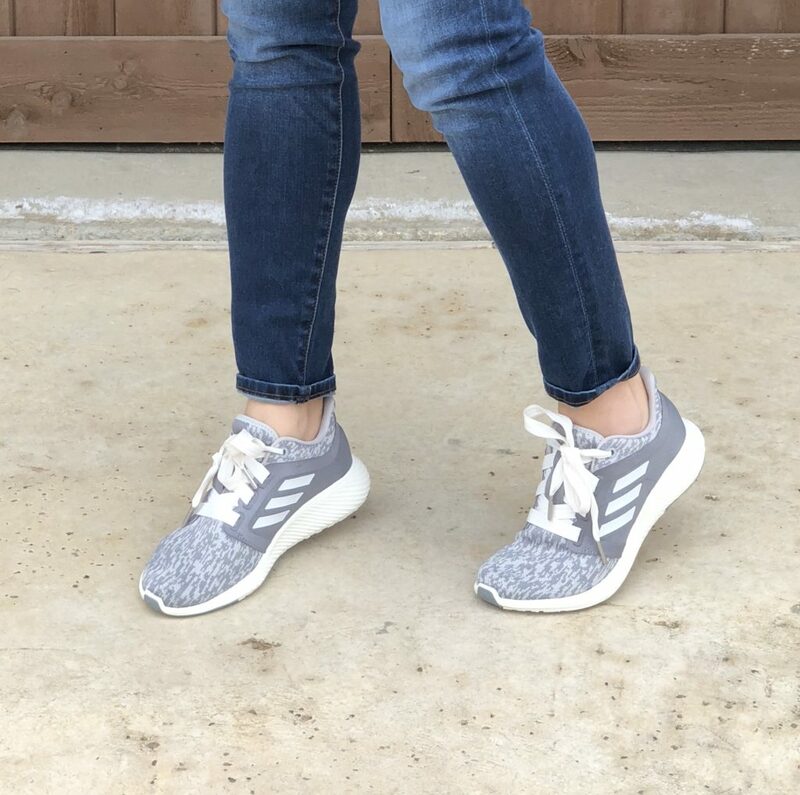 I always like to show a little bit of ankle when I wear flats, so I typically pair them with ankle jeans. 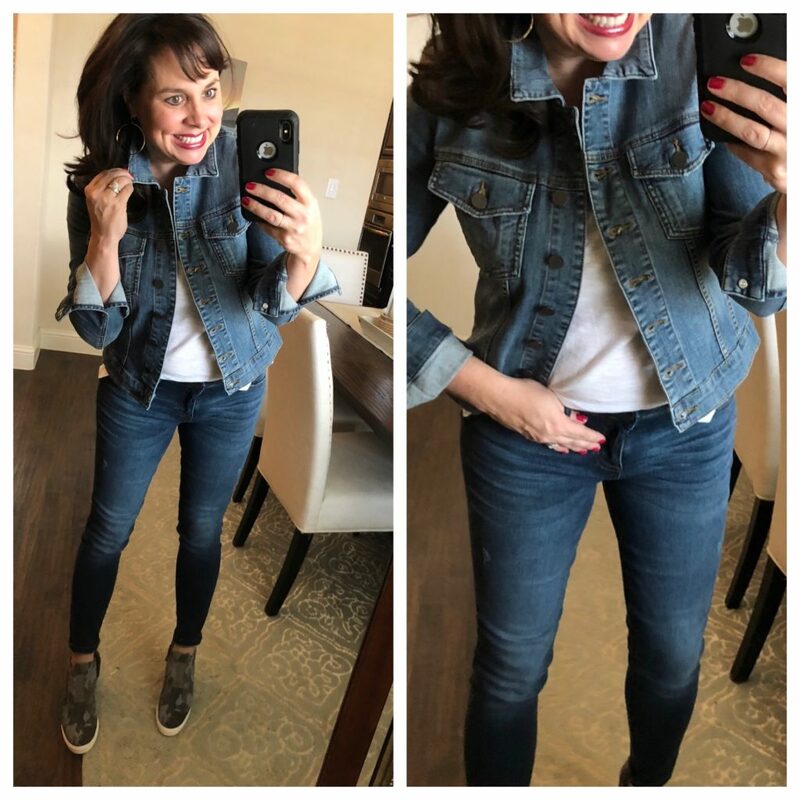 These jeans didn’t show quite enough ankle for my liking, so notice how I turned up the hem to make a tiny bit more space between the flats and the jeans. I also like a large cuff with flats, so I think boyfriend jeans look great with flats as well. I highly recommend these flats. But if you don’t like the pointy toe, these are tried and true. I also love these leopard espadrilles if you want a more casual look. I’m wearing a small in the jacket, so it’s definitely oversized (because I often times wear mediums in jackets). I would suggest sizing down. 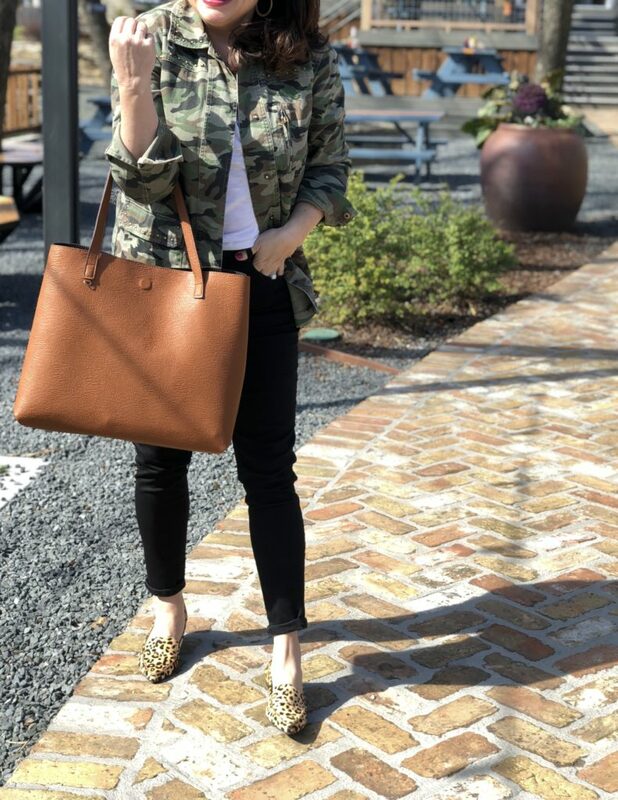 This reversible cognac tote is the bag that I originally ordered for my travel outfits post (where I shared lots of information about our family ranch house). My exact one is sold out, but this one is super similar. It just has a smooth look instead of the pebbled look on the cognac side. This tote is reversible, its just under $50, and it holds my 15″ laptop. It’s size makes it great for travel, but it also totally works as a super affordable work bag, or just an everyday bag. 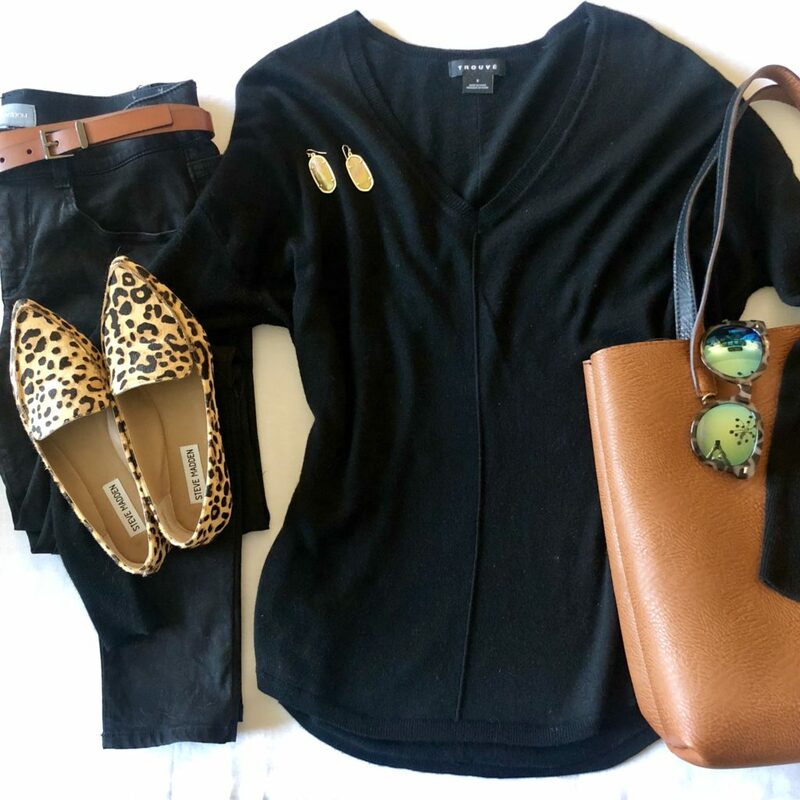 Because I think styling leopard flats might seem daunting to some of you, I wanted to give you some easy outfit ideas. Black on black with leopard is a no brainer and really chic. Throw some cognac in with the belt and the bag and you’re out the door and looking like a million bucks. This outfit could be worn with lots of different types of shoes…over the knee boots, taupe booties, or Converse just to name a few. But I think the leopard flats give it just the dose of sass that it needs, and they definitely dress it up a bit. Y’all know I love Kelly green, and Kelly green with leopard is one of my very favorite combinations. The bright and bold green with the animal print is great together. This last outfit is one that is more subdued. We’re not mixing any crazy colors or patterns with the leopard, we’re just staying neutral. But as you can see, the leopard flats give the outfit the pop of fun that it needs. All right, let’s talk about a shoe that’s a bit more casual, but still has an edgy vibe. I wasn’t sure about the wedge sneaker trend when it started, but now I’m ALL IN. I added these shoes to my closet last year, and I’ve been pleasantly surprised at how often I’ve worn them. I love the height they give me while still maintaining the comfort level I demand from my shoes! 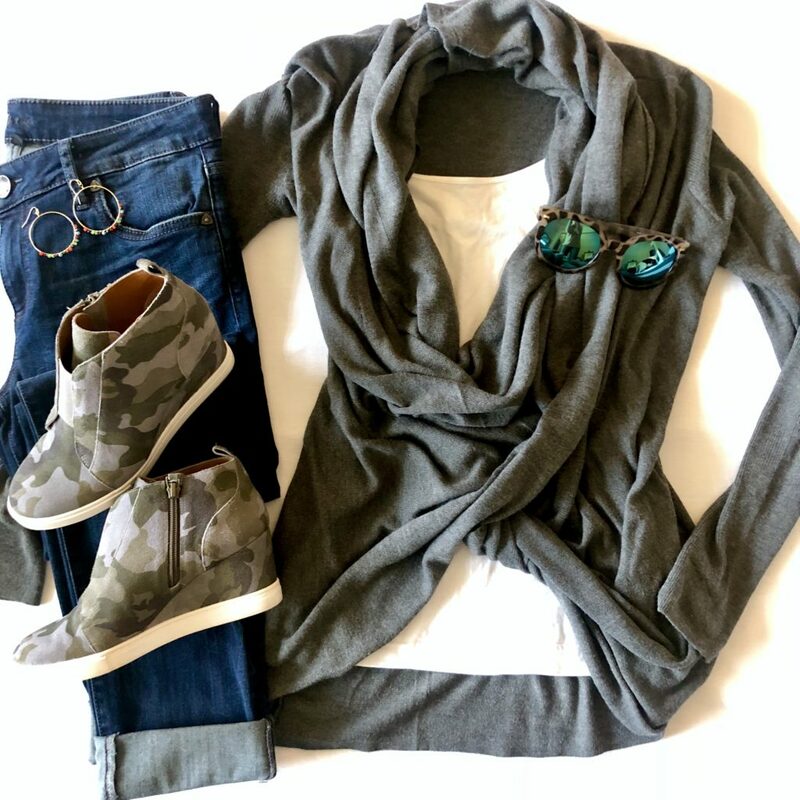 This particular wedge sneaker comes in 8 colors, so if you aren’t a camo girl, you’ve definitely got choices. The Rock Per Suede is my favorite and just a really nice neutral. These are true to size. 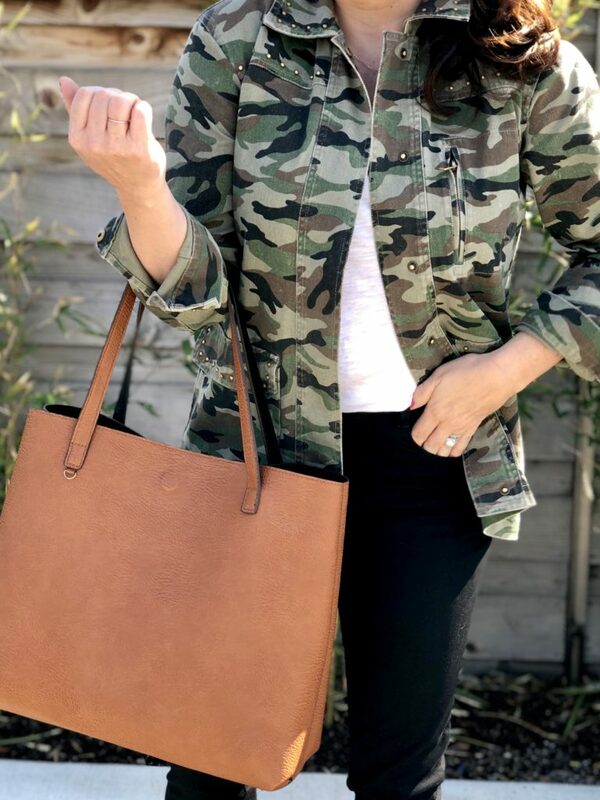 This outfit further illustrates how you don’t have to always just pair the camo print with neutrals. I cannot wait to wear these lilac jeans. 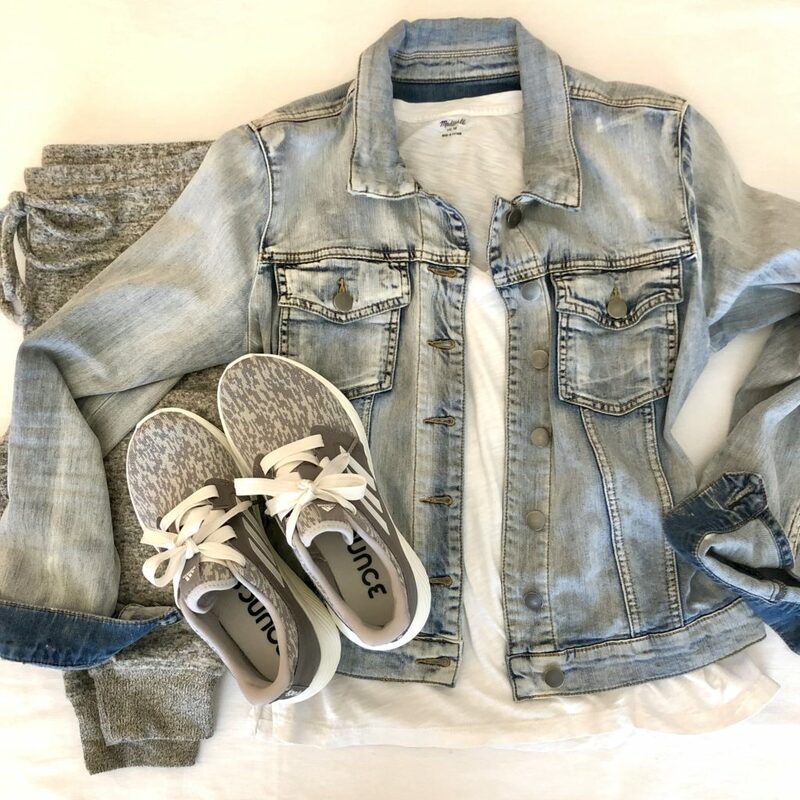 This would be a great travel day outfit with the boyfriend jeans, wrap top, and sneakers! In fact, you can click HERE to see me when I was traveling to L.A. (for the Gibson Glam shoot!) in some neutral wedge sneaks that I have. 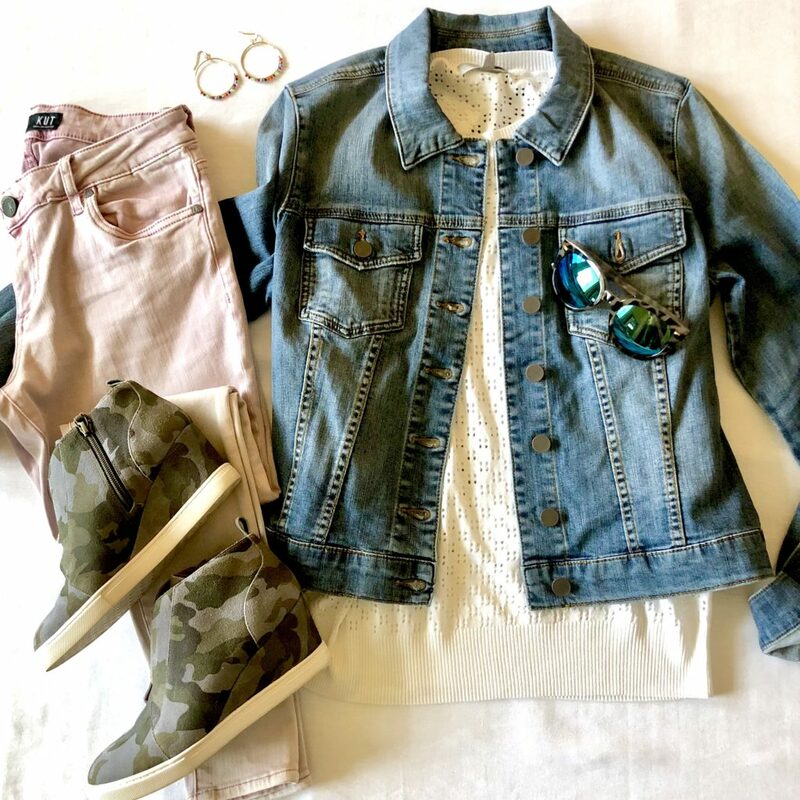 To be honest, I just had the first outfit I had on with the camo sneaks above (with the neutral cardi), and I saw the denim jacket and grabbed it. I’m not sure if I’d be brave enough to wear this out and about myself, but I actually do really like the look. I have worn denim on denim before, but when I have in the past, the denim washes have been more contrasting. The last pair of shoes I’m talking about today are my ribbon sneaks. Personally, I love the light grey, but they come in black too! They are actually made for running (per the online description), but I don’t work out in these shoes. These are my “want to look cute while running around town while still being extremely comfy shoes”. If you don’t have some shoes like this, you need to get some. They are true to size and very lightweight. 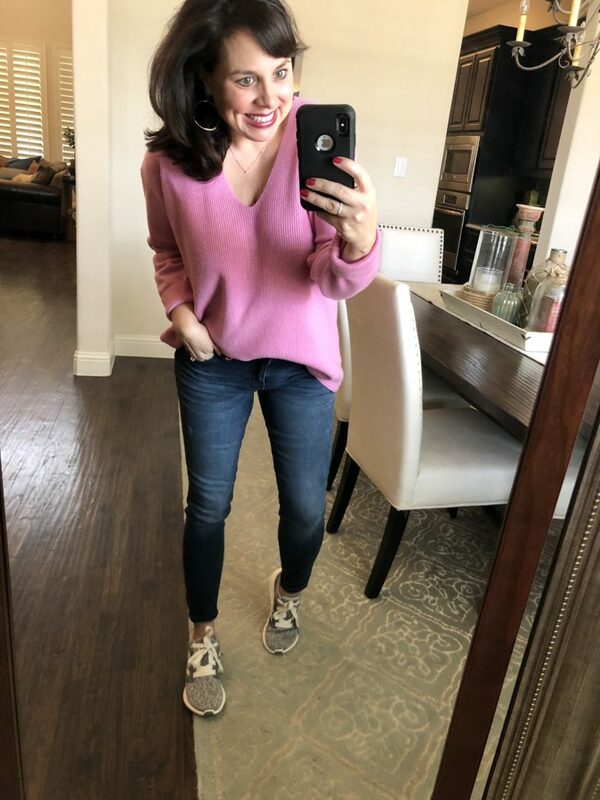 I love pink and grey together, so I threw them on with this hot pink sweater. 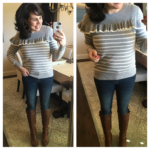 I’m wearing a small in this sweater, but I need an x-small, so I would suggest sizing down. I’ve shown you this outfit before, but talk about a perfect travel outfit! I wear a medium in the tee and the jacket and a small in the joggers. When I first posted about the sneakers, several readers commented and shared the love! I say that’s some high praise from STMT readers! I tell ya, they are THE SHOE for running all over town crossing tons of errands off your list. But be prepared to get compliments. I’m wearing a medium in the moto jacket, a medium in the tee, and a 27/4 in the jeans. There is no denying that these are darling. And now for a selfie, because I think this view gives you a better look at the jeans. AND I’M OBSESSED WITH THE JEANS. 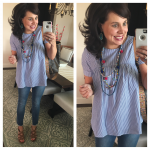 I already bragged about the jeans on Monday’s post, but I’m going to again right now in case you didn’t catch my Monday shout out. 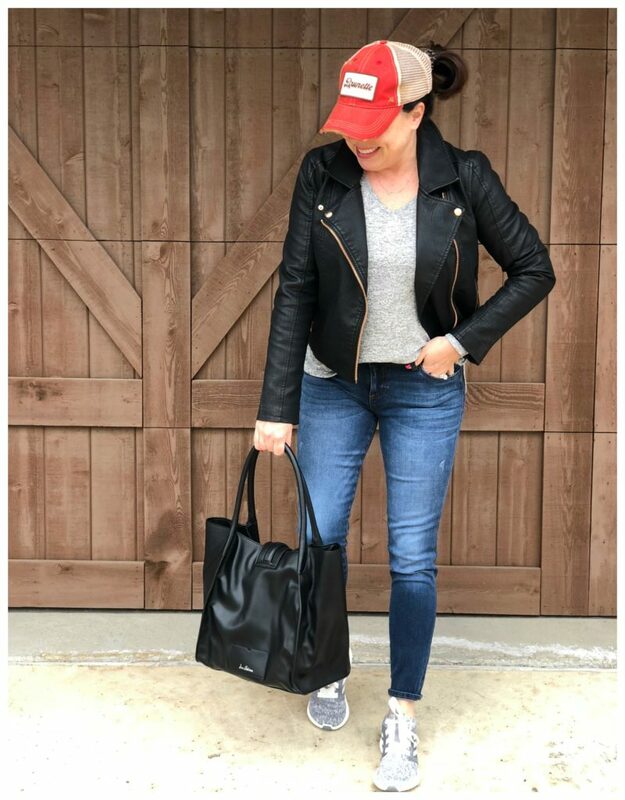 As part of my brand ambassadorship with Kut From The Kloth, I highlighted their slim cut boyfriend jeans last week and I liked them a lot! (For those of you that wanted them were disappointed they were sold out last week, they’ve been restocked!) 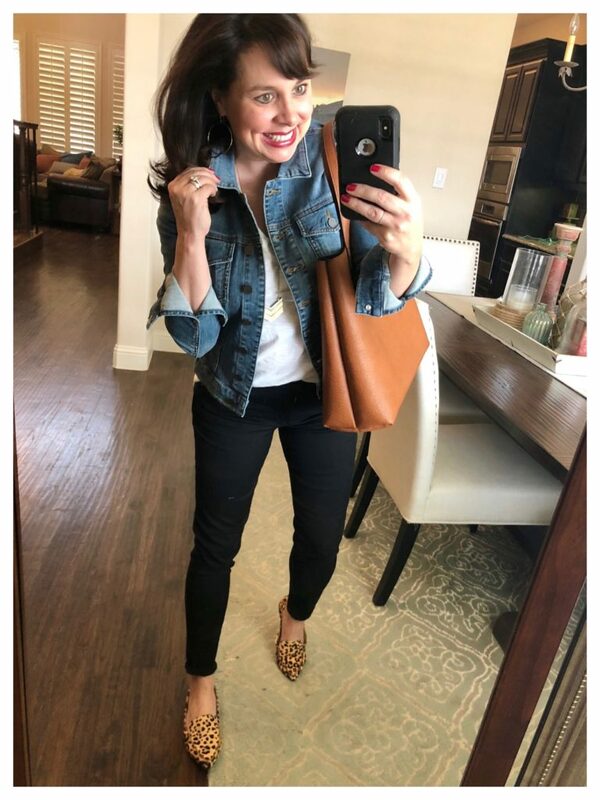 I think they are a fun and different alternative to skinny jeans, and I’ll definitely be grabbing for them in my jean rotation this spring and summer. BUT THESE? THESE I LOVE AND ADORE. They are super stretchy (but they don’t sag! ), very comfy, and sooooooooooooooooo flattering. They hug me in all the right places and just make me feel great. I love the medium wash, the slight whiskering, and the ankle length. For size reference, I’m wearing a 4, so I think they’re true to size. Click HERE for the jeans. I sure hope today gave you some major outfit inspiration. 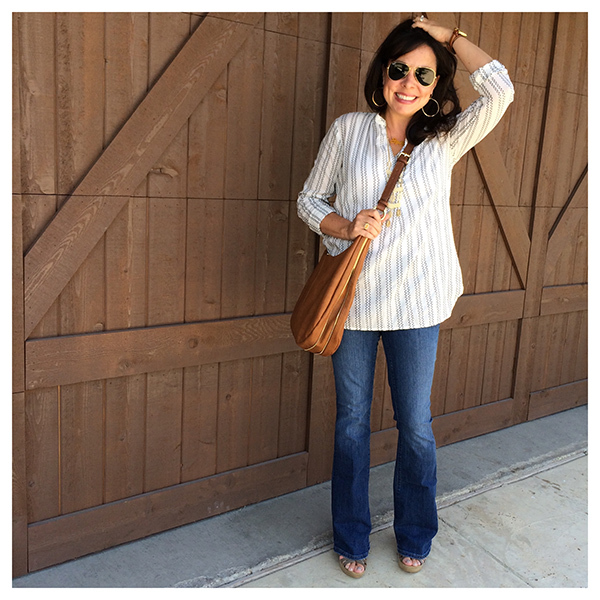 A huge thank you to Nordstrom and Shopstyle for sponsoring this post! 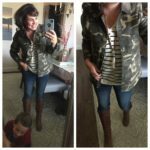 What I’m Wearing: 8 Great Outfits! Wahoo for leopard is a neutral!! 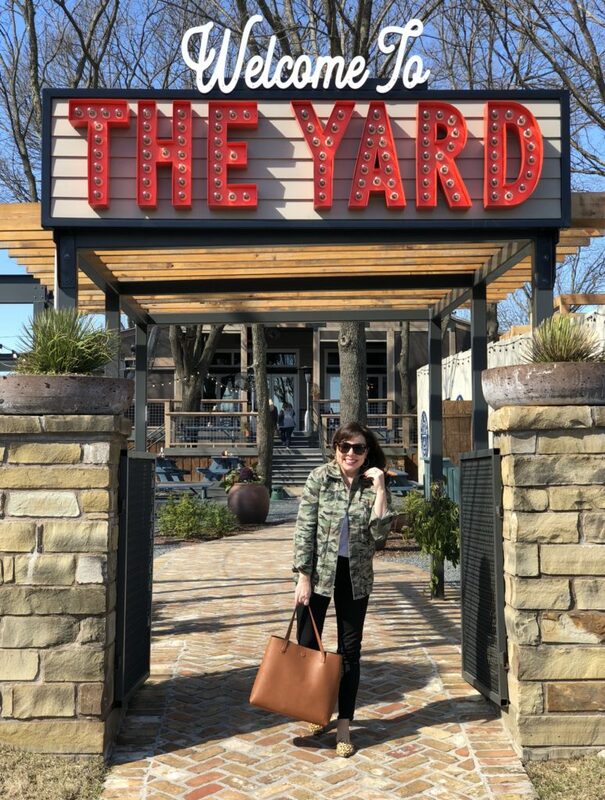 And The Yard needs to use that cute pic in their marketing! It took me like 15 minutes to read this post! I stopped and clicked on everything! I looooved these outfits! Look at you being darling in all of these outfits! Love every single one! Leopard is definitely a neutral. So fun! So cute! What about the necklace in the last few photos? Love that piece! Hi, Marcie! 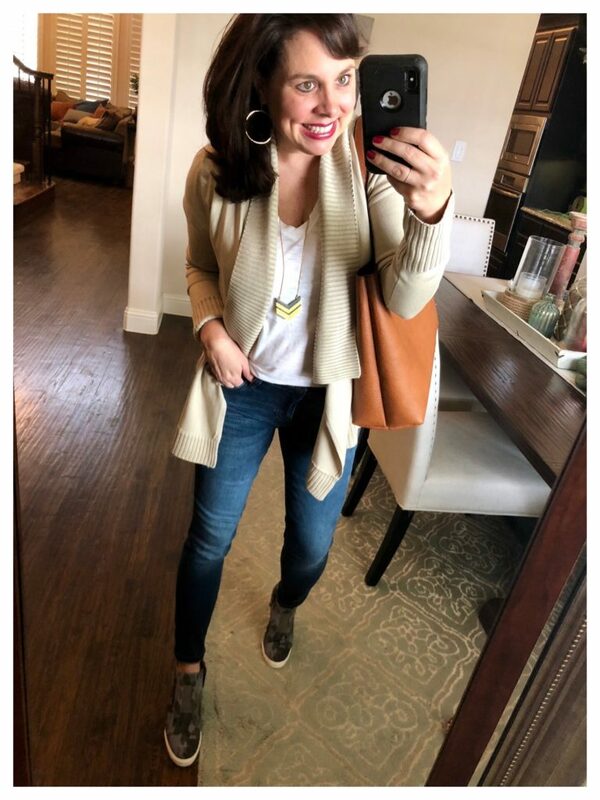 The short initial necklace? 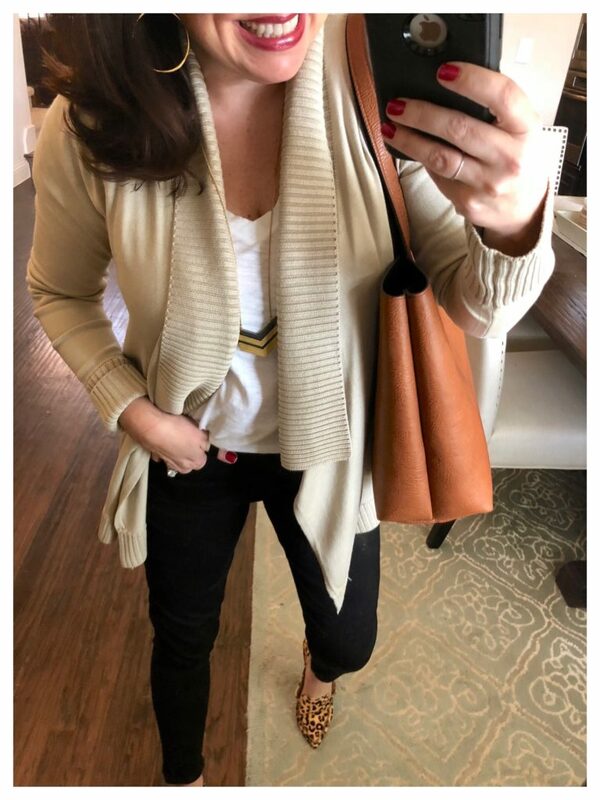 If you’re talking about the long necklace, it’s from Madewell. Nordstrom might have restocked it by now. I ordered mine from Madewell (after seeing Sheaffer wear it) and love it! The length is adjustable. I bought the jeans on Monday when you raved about them and they arrived yesterday! I LOVE them! Thanks for the recommendation! I got them too, Rachel! And I love them! They are so flattering and a perfect fit. Hubby loves them too, so that’s a total bonus! I have so many of your recommendations (too many to count! ), but these just might be my very favorite. Going to have to get those leopard flats now too, today’s post convinced me. 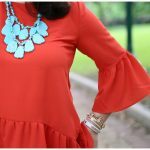 So many cute finds that have me excited for spring! I absolutely love that Kelly green sweater paired with leopard. Adorable! LOVE the kelly green sweater and leopard flats together!! Rich and classic. I think I need to add some leopard flats to my wardrobe! Thanks for showing how it’s done. Since the cold weather doesn’t want to leave Arkansas, I’m ordering the green sweater today! Sheaffer, you converted me to leopard-as-a-neutral years ago with the Sam Edelman flats. Mine are also well-loved and are showing signs of wear so I think I’ll have to update along with you. 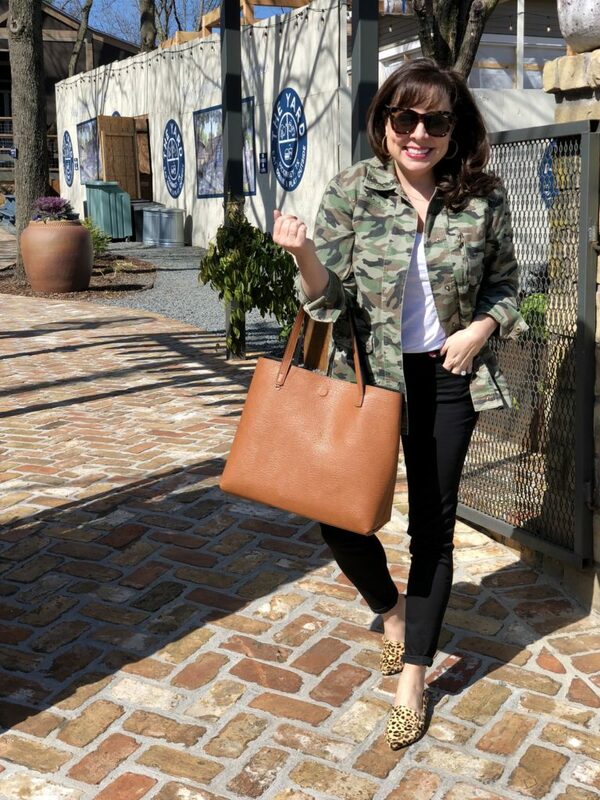 Ugh I just can’t stand to update the Sam Edelman leopard flats—they are SO comfy! But definitely will be adding the green sweater!! I had to size up in the leopard flats. Which was very weird. I’m ALWAYS a 9.5 but the 9.5 was tight on my toes. Kut from the Kloth jeans have been my favorite for the last few years. I randomly found a petite pair on sale at Nordstrom Rack and fell in love. 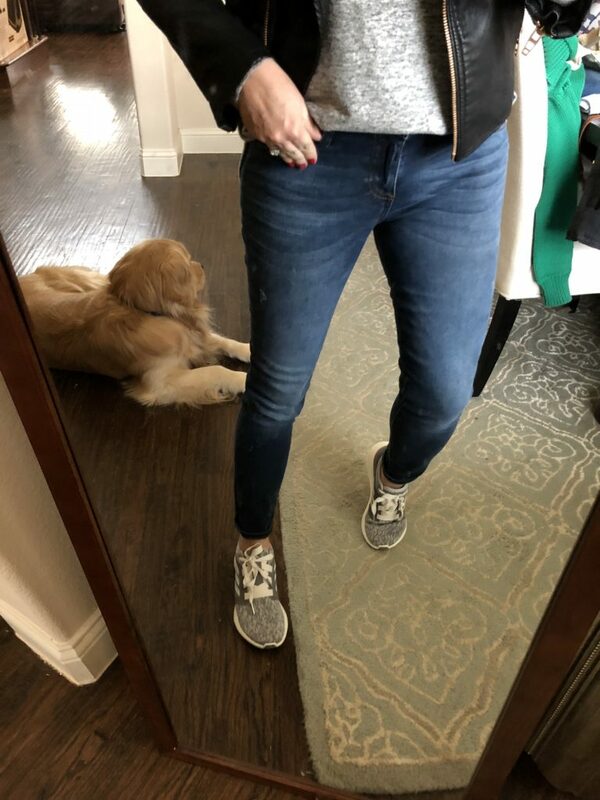 I am 5’8 but the petite Diana skinny jeans are the perfect cropped length to wear with flats and sneakers. They don’t offer them in every wash but I recommend trying the petites. Are the leopard flats comfy? They’re adorable but wondering how they would be sightseeing on an upcoming trip. I want a pair of stylish flats but also need to be comfortable. Thanks! Hillary! I’M DYING!!!!!!!!!! Yes……BYE, FELICIA! I’m sure I’ll still be pulling them out from time to time because I still love them! But “Bye, Felicia” is hysterical!